Conents: 12 paper plates, 3 different floral designs. 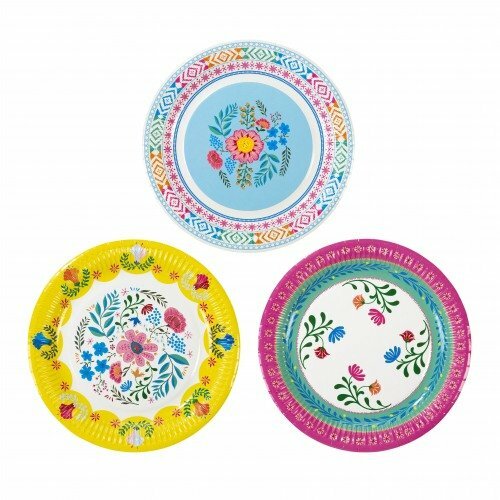 These Boho Floral Paper Plates come with 3 stunning floral designs. Perfect way to fill your party table with gorgeous vibrant tints! These plates are sure to be a hit at your festive and colorful celebration.